Following on from last year’s wonderful debut solo EP, LOMO, Brighton based musician David Harks is back with a new single, ‘Tripping Ghosts’. In collaboration with composer/producer Dan Berridge (Broadway Project) ‘Tripping Ghosts’ a is downtempo electronic number. Steeped in melancholy, ‘Tripping Ghosts’ sees Harks’ haunting pure-toned vocals weave in and out of a shadowy yet elegant electronic soundscape. At points both melancholic and transcendent, his voice conveys a fragility (not unlike that of a certain Steve Mason) and evinced with a kind of nocturnal self-analysis that results from late-night walks or spending many a restless hour staring at the ceiling. A shadowy track of murky layers, emotion and isolation; it is wholly absorbing, affecting, invigorating and thrillingly distinct. The single is also joined remix from Anglo-French duo Loframes (James Yuill & Franck Russo) who while retaining the intimacy, transform the track into a sleek, dark yet sparkling and mildly Balearic dancefloor friendly tune. ‘Tripping Ghosts’ is released November 27 on JumJum Records and you can listen to it below. Why not check out his previous releases too? They’re here. 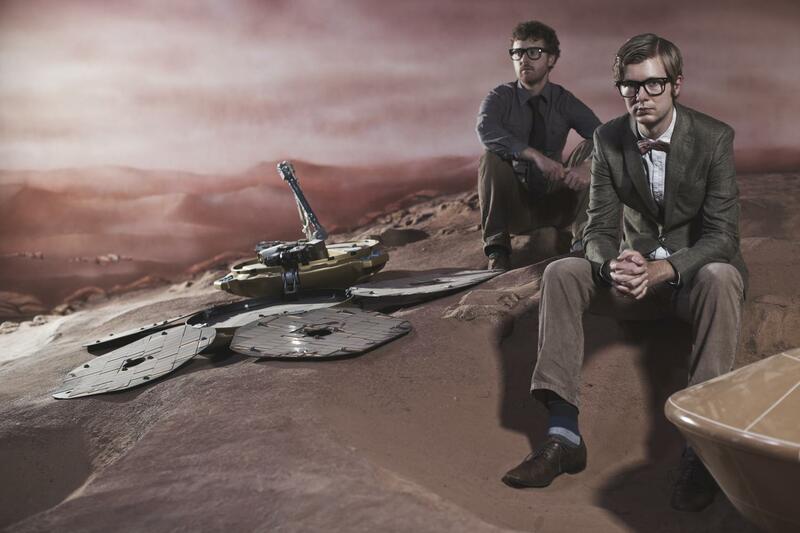 2015 has been a stellar year for Public Service Broadcasting. Second album The Race For Space is one of this year’s finest records; a rocket-fuelled triumph, spectacularly relaying the wonder, awe, glamour and the tragedy of the space race. More recently, last week in fact, Public Service Broadcasting released a brand new, similarly space-flavoured themed EP, ‘Sputnik/Korolev’; featuring album track ‘Sputnik’, top class remixes and brand new track ‘Korolev’. It takes its name from the late Sergei Korolev, known as “The Chief Designer”, he was responsible for many of the Soviet Union’s spaceships, including ‘Sputnik’. Appropriately, ‘Korolev’ has space-aged, futuristic leanings. Propelled by a relentless energy, pulsating-beats and a powerful riff at its core, it combines heavy-synths, flashes of a grand brass with old Soviet sound-bites. A simply stunning track, as fine as anything on their superb second record, exhibiting all that is great about Public Service Broadcasting. The new EP, ‘Sputnik/Korolev’, is out now and you can sample both tracks below. Meanwhile, Public Service Broadcasting are busy touring the UK and will be live streaming their Brixton Academy show on Sunday, 29th November – one can only presume it will be available through their website. Three years in the works, Irish producer MMOTHS has announced details of his long-awaited debut album, Luneworks. 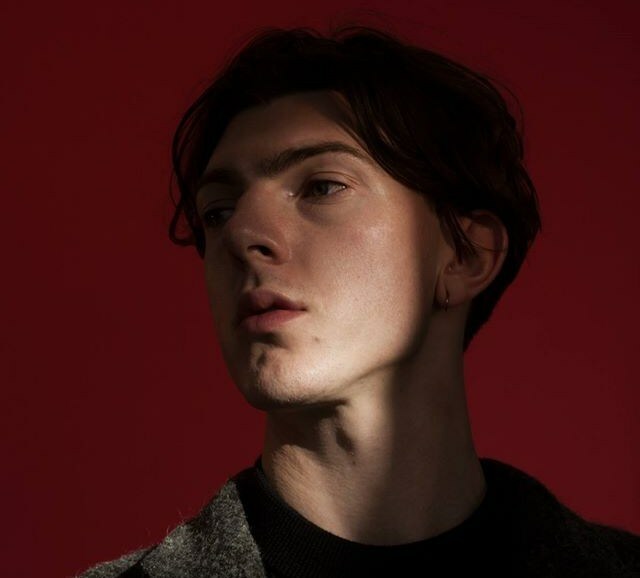 With two EPs already under his belt – the self-titled debut EP (2012) and Diaries (2013) – MMOTHS , aka Jack Colleran, admirably took his time with his debut LP. Luneworks is pencilled in for release in March next year and accompanying news of its release is the album’s lead single, ‘Deu’. An incredibly lush, bewitching and utterly beautiful slice of electronica, ‘Deu’ pulses, shimmers and grows, immersing you in a world of thoughtful contemplation. 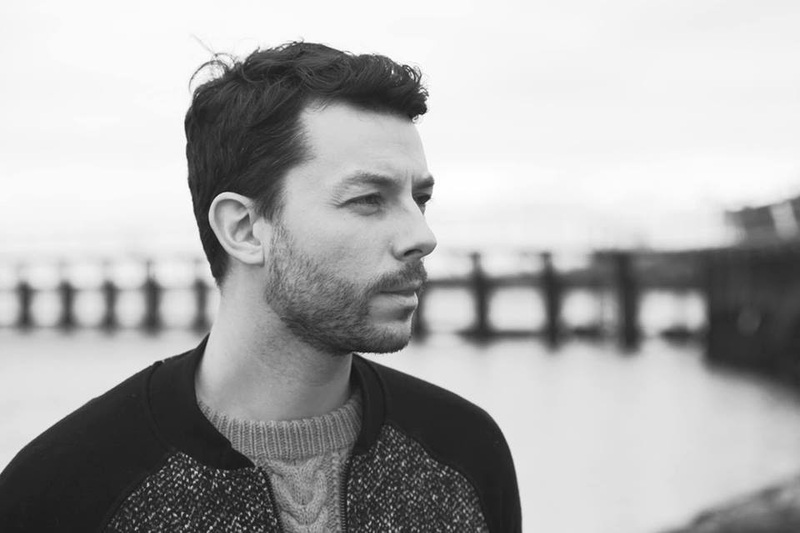 Falling somewhere between ambient and downtempo, and while retaining both the warmth and ambient tag of his earlier work, this is a different animal to what introduced us to his talent some four years ago. Rather than negate him, the time Colleran has taken to craft his debut appears to be paying off, this is magnificent and evocative to say the least; needless to say things are looking well for his debut LP. Luneworks is out on March 11th 2016 through OYAE/Because. For now, you can check out ‘Deu’ below, along with the Hassan Rahim & Scott J. Ross directed video. Delighted as always to bring you a brand new episode of ‘Millions Like Us’, a music podcast with myself & Justin Beats, in conjunction with Vancouver news & culture site 604now. A bi-weekly digest of music from metro Vancouver and beyond, the latest serving has the usual whimsical chatter and top tunes, comprised from an eclectic mix of styles and genres. That’s about that really, hopefully you enjoy podcast #6. You can read more on it here and listen below, and the tracklist (with links) is after the jump too. You can subscribe to ‘Millions Like Us’ on iTunes & Podcast Republic or find us on Facebook & Twitter. Hopefully you enjoy our curated pickings, here’s to good listening. Berlin formed but London based Ulrika Spacek are lining up the release of their debut LP The Album Paranoia for early next year. 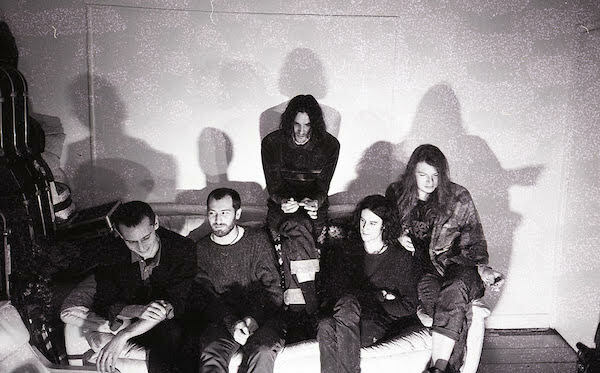 Earlier this year Ulrika Spacek introduced themselves with their spacey debut single ‘I Don’t Know’, which suggested substantial promise and it is welcome news to find they wrapped up a debut LP in double-quick time. With their debut record in mind, they have afforded us a glimpse of what to expect in the shape of single, ‘She’s A Cult’. Drawing influence from Krautrock to Television, Sonic Youth and Pavement, ‘She’s A Cult’ is a driving, somewhat menacing burst of melodious and discordant post-punk indie. It hits a sweet spot, cross pollinating hypnotic fuzz, melodious and grit, intertwined with feelings of both angst and melancholia. Very promising indeed, especially with regard to their forthcoming debut – The Album Paranoia – out on February 5, 2016, through Tough Love Records in Europe and Lefse Records in the N. America. You can sample ‘She’s A Cult’ below and you can check out their spacey debut single ‘I Don’t Know’, here. We’ve been keeping a watchful eye of North Walian trio CaStLeS, for quite sometime now. The three piece – comprised of We//Are//Animal brothers Cynyr and Dion Hamer and Calvin Thomas – have captivated us with a series superb singles thus far but, their debut EP, PartDepart confirms what we really knew already; CaStLeS are an absolute treasure. Inspired by the surrounding wilderness of their studio, high up in the hills overlooking two castles, they embrace influences from Super Fury Animals, Django Django and the Beach Boys to name but a few. In doing so, CaStLeS create an engrossing swirling infusion of psychedelic rock, blues and mildly dancey grooves. Title track ‘PartDepart’, with its bubbling hypnotic layers, beautiful sounds, synth loops, enticing guitar riffs and seductive rhythmic groove, is essentially CaStLeS raison d’etre and indicative of the spirit running through the veins of their marvellous sound. Add a sprig of lilting Welsh vocals, tight harmonies, reverb soaked melodies, organic spontaneity and earthiness, combined with some off-kilter genius and you get the picture. ‘Nightingale’, ‘Foresteering’ and ‘Mountaineering’ too, are all consuming and overwhelm the senses in all its rhythmic glory. This debut EP has been a while coming but, yeah, you guessed it, it has certainly been worth the wait. 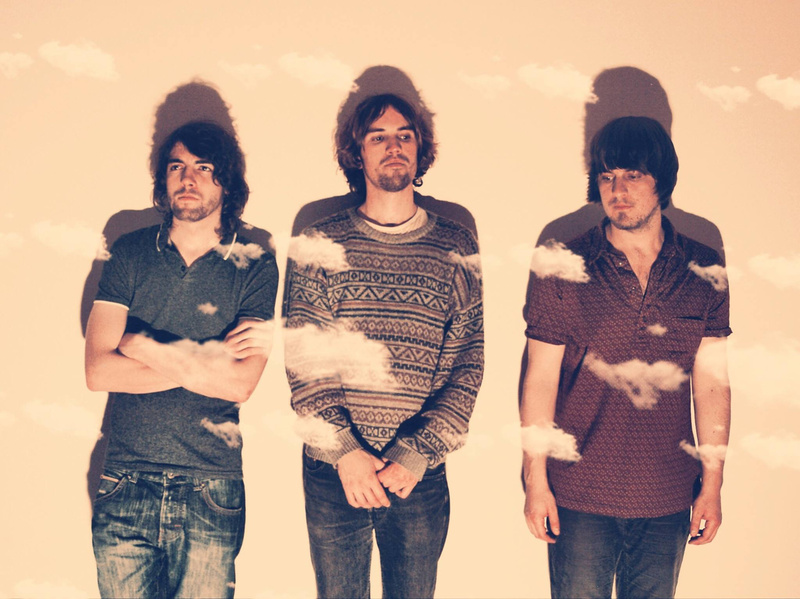 You can check out some choice cuts below, along with their £30 self-made video for ‘PartDepart’. You can also purchase/stream the EP in its entirety here. 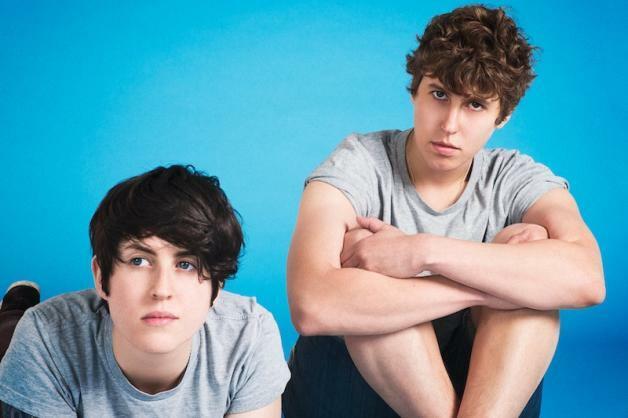 Tuff Love have announced they are to release a compilation LP called ‘Resort’ in January. It’s been a fine year for Tuff Love and their burgeoning band of fans, with the Glaswegian scuzz-pop aficionados concluding a triumphant trilogy of introductory EPs. The album will be composed of the band’s three EPs thus far – 2014’s ‘Junk’, ‘Dross’ from this February, and most recent release ‘Dregs’ – in one 15-track compilation . 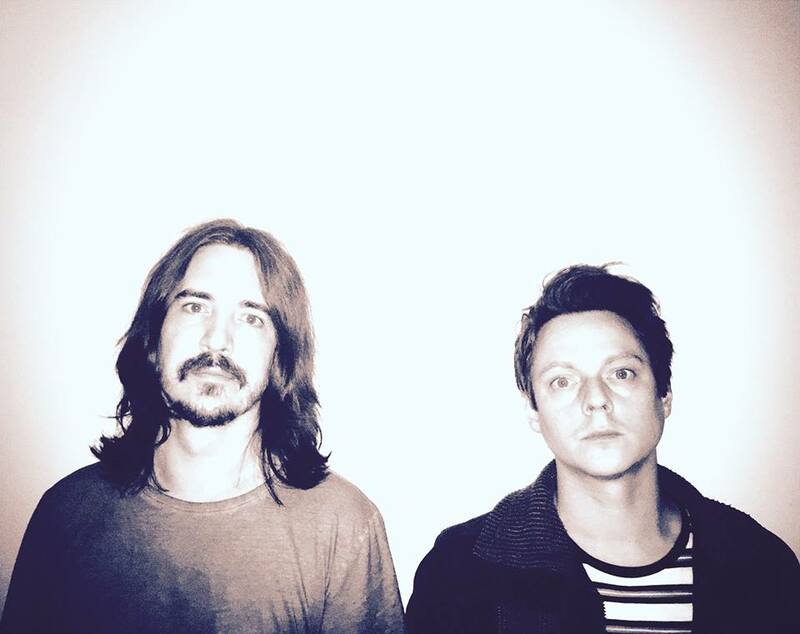 To coincide with the news of the LP, to be released via the mighty Lost Map Records on January 29th, the duo are releasing Dregs track,‘Crocodile’ as a single. ‘Crocodile’ strikes a perfect balance between contrasting ingredients of their sound. With a tattered grunge-echoing main riff, and Eisenstein and Bear’s charming two-part harmonies and dreamy vocals, it outlines exactly what Tuff Love are all about, all in two-and-a-half minutes. Tuff Love have impressed more and more on each and every occasion, and it’s been solid gold irresistible listening from first to last. Here’s to more of the same in the future. You can listen to new single ‘Crocodile’ and check out the tracklisting for ‘Resort’ below. Cast your mind back a few years, to 2011, you may remember a delightful debut album from Belfast’s Cashier No. 9. It was called To the Death of Fun and was produced by David Holmes, it is an album which I have retained an enduring fondness for. Alas, Cashier No. 9 are no more, having called time on the band earlier this year – but fortunately, it has been revealed that two of the guys from the band, Danny Todd and James Smith, have been working on new project. The new band is called exmagician and their debut EP Kiss That Wealth Goodbye will be released via Bella Union on November 20th. Prior to their forthcoming EP, exmagician cast a first spell (*ba dum tss) with a brand new single of the same name, and it is glorious. It is a lot more urgent, hard-edged and rockier than their previous band. Still present, though, is their preference for shimmering psychedelics, echoed instrumentation and melodiousness. It is anthemic and quite cool, mixing up swirling melodies with a catchy groove to fall somewhere between BRMC, Supergrass and Cashier No. 9. It is an extremely promising start to Smith and Todd’s latest musical project. ‘Kiss That Wealth Goodbye’ is the lead track from exmagician’s debut E.P, which will be released on November 20th. Check it below. 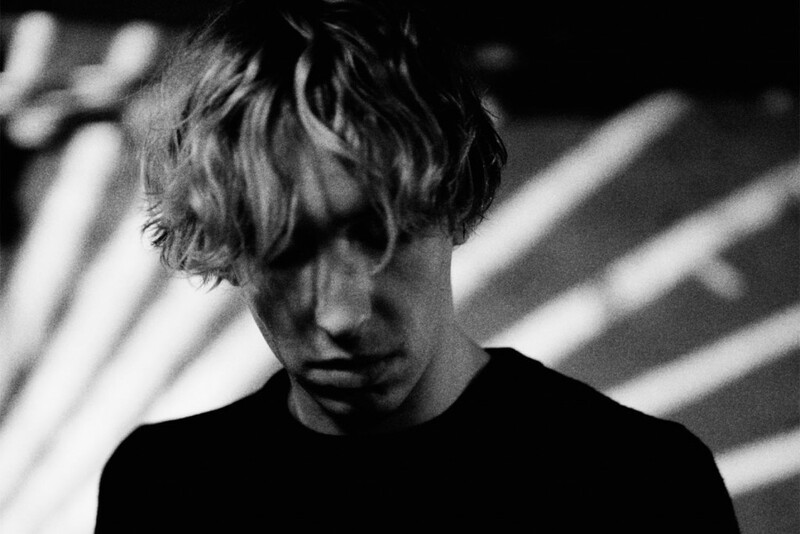 A.S. Fanning was the front-man of the criminally underrated Dublin band The Last Tycoons, now based in Berlin, he’s returned with his own solo project. With this news comes new music, and he’s debuted a first single in the shape of ‘Carmelita’. 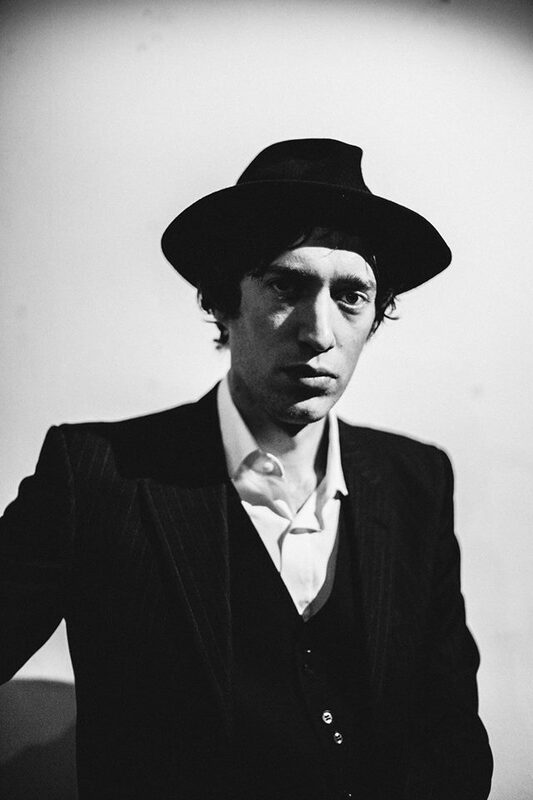 Opening with a rich organ hum and scratchy acoustic strum, he regales dark tales from his native Dublin, perfectly complimented by Fanning’s world-weary and distinctive Dublin-accented, vocal. The organ seeps into every fibre of this four-and-a-half minutes of melodic, further accentuating Fanning’s finest attribute; namely his profoundly brilliant songwriting and storytelling abilities, which enables him to depict a vivid, yet dark vision. It is a strong and extremely promising start Fanning’s latest musical venture, of which, hopefully there is more sooner rather than later. You can listen to ‘Carmelita’ below and it is out now via iTunes.